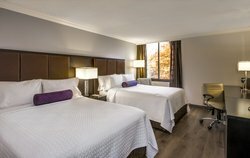 The upscale Crowne Plaza Suffern - Mahwah offers you every convenience and amenity you have come to expect from a luxurious hotel. Our well-appointed rooms are thoughtfully designed with the aim of truly achieving every comfort and indulgence of home. Our hotel is located in the heart of the beautiful Hudson Valley. You’ll be steps away from world-class entertainment in downtown Manhattan, unique retail shops at one of the largest outlet malls, and outdoor activities among the breathtaking Harriman State Parks. 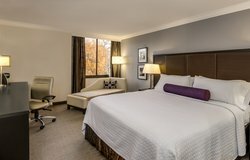 Whether you are in town for business, leisure, an event, or with the whole family, Crowne Plaza Suffern - Mahwah offers you a prime location close to local businesses, shopping, entertainment, and outdoor activities! 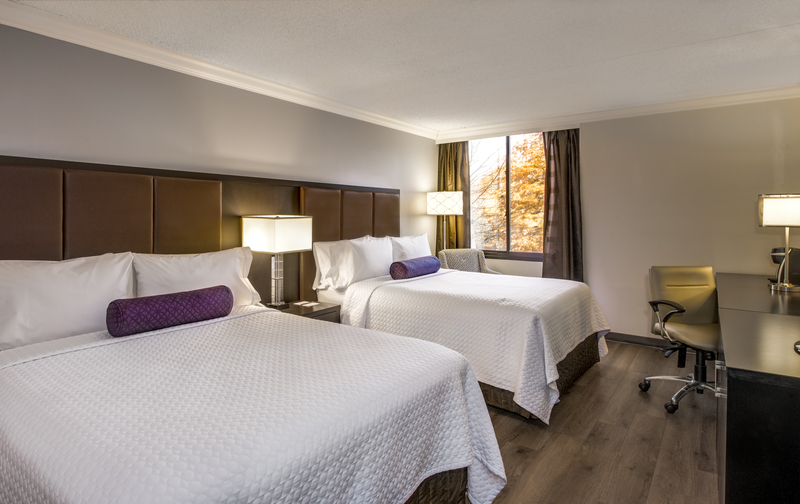 Start each day with a well-rested sleep when you stay with us. We have enhanced our beds to a new level of comfort, with a plush duvet, and luxurious sheets. Our supreme beds feature 7 plush layers of bedding to wrap you in comfort. As always, Crowne Plaza’s renowned Sleep Advantage Program is available to bring even more comfort and convenience to your stay. This holistic approach to sleep features a quiet zone floor, guaranteed wake-up calls, sleep amenities, a 100% smoke-free environment, and more! 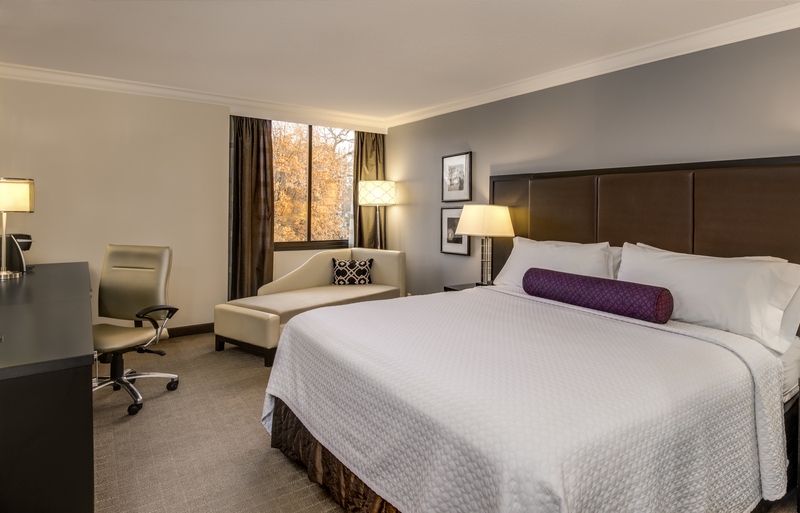 You will also enjoy versatility in your choice of room, the Crowne Plaza Suffern - Mahwah features 230 lavish rooms to choose from, including 6 two-room suites. Regardless of which of our elegant room you choose, expect to find large work desks, cable television, and free newspapers. 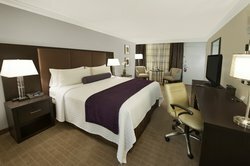 Our rooms are perfectly arranged for business and leisure travelers, conference attendees, small or large families and groups. 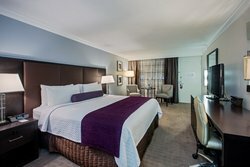 This stunning Deluxe King room provides all of the modern lifestyle amenities required to make you feel at home. 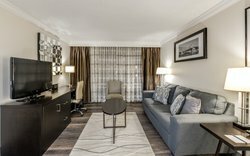 Enjoy complimentary Wi-Fi, a work desk, European showers, and so much more! 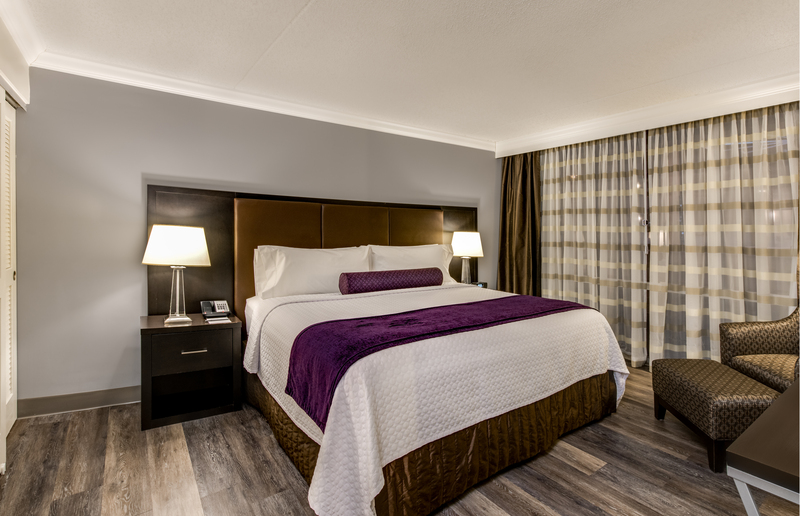 Start each day with a well-rested sleep when you stay with us. 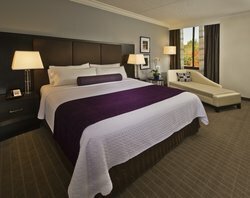 We have enhanced our beds to a new level of comfort, a plush duvet, and luxurious sheets. Our well-appointed rooms are thoughtfully designed with the aim of truly achieving every comfort and luxury of home. Our wonderful Deluxe Queen Double provides all of the modern lifestyle amenities required to make you feel at home. 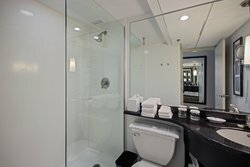 Enjoy complimentary Wi-Fi, a work desk, European showers, and so much more! Our King Executive room is a luxurious step up, designed to make an extended stay more compartable. 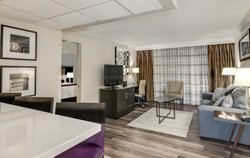 This incredibly spacious room features our sophisticated decor and lavish lifestyle amenities to make your stay comfortable and convenient! 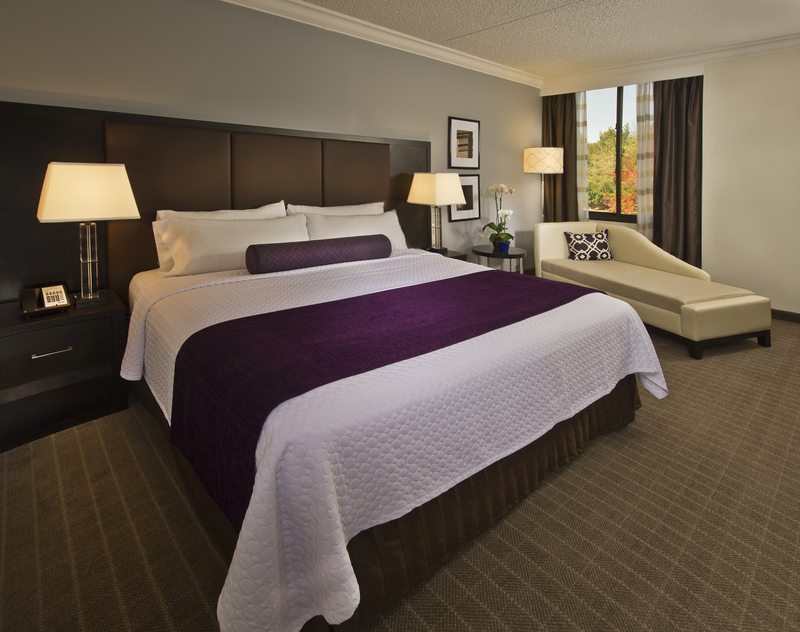 Experience the luxury and sophistication of our 1 king bed suite. Conveniently divided into 2 rooms, this suite perfectly combines space with elegance and functionality to create an ideal accommodation for any traveler. 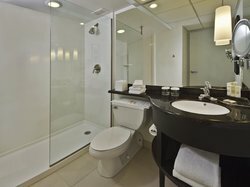 Enjoy this one king room boasting an excess of accessible features to make your stay pleasant and stress-free. 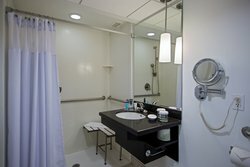 Aside from being completely wheelchair accessible, the room has lowered closets, roll-in showers, bathroom railings, a hand-held shower head, and a shower seat. All of these features are accompanied by our sophisticated decor and modern lifestyle amenities.